A heavyweight in sound, as light as a breeze on your ears. 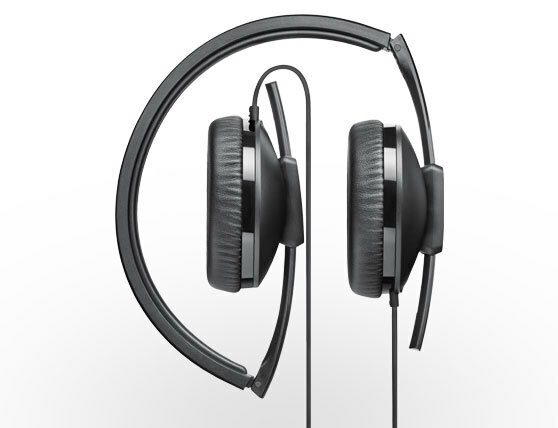 These ultraslim yet robust headphones deliver a vibrant sound with a powerful bass response. Have an upgrade "to go"
The HD 2.10 is clearly made for the mobile life. With its ultra slim and foldable yet sturdy design it is the perfect choice when you are looking for the right headphones to take the sound of your mobile device to the next level. With its closed-back on-ear design the HD 2.10 offers ample isolation from ambient noise, mustering a powerful bass without compromising the territories of the mids and highs. 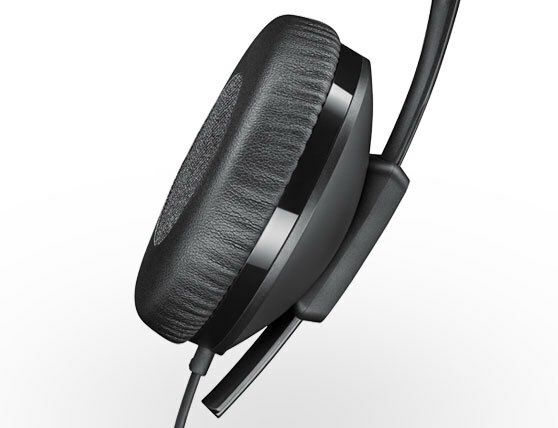 Delivering a vibrant, rock-solid sound you can enjoy for hours on end, thanks to the excellent comfort of the premium leatherette earpads. 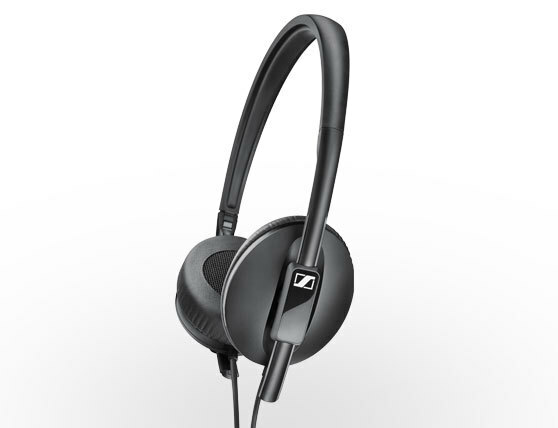 Reflecting the virtues of the Sennheiser sound quality, the design language of the HD 2.10 is clear, clean, and elegant. Timeless, yet of today. Well-conceived design both functional and attractive.